I converted this site from tables and simple HTML into advanced CSS and PHP. This site has got its own large editing section. This make these pages easy to update and you even do not need to know HTML, because there is a HTML editor with simplified syntax too. 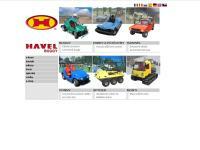 These pages were made according to an offer published on site vzdelani.cz. This site was created according to many requests form a customer. There are still some requests, so the site is updated very often. I had received these pages in HTML and table design, and I had to convert them into CSS and PHP, to became faster and easy to update. I did everything on this site. I created them from nothing. There is a possibility for many language versions and searching in texts. Some parts of these pages do not work, because I have not received any payment yet. content: Small cars for parks, etc. I modified this site. Some adjustments were in design and some in codes. The original version of pages had only 3 types of cars, so I had to add 3 types. 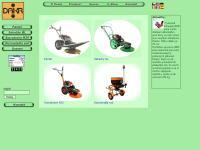 I proposed a design for this site and it was changed according to requests of the customer. There is an editing section for easy update and service of page. There was also a guest book on the page, but it was removed because of some five-letter words. This site is almost 'finished'. After adding some wallpapers it will. I try to find some time for it, but I have many other activities. A content of this page is clear, isn't it? This site is not updated. June 8, 2004. There was a unique astronomical event, when planet Venus went through the Sun disc. I and a friend of mine, Karel Jára made webpages about observing of this event at our school. The reason for crating them was a competition in creating website about this event. We won the first part, but we didn't succeded in second turn, because it was about English and I was not very good at it. I designed the layout of pages, but Karel improved it and the result is great. My first webpages where also "personal", but later the content of pages started to be diferent and specialized. I thought, that I sould make some page about myself. So at the end od June 2003, I started. During summer holidays in 2003, I finished my first version. As the time moved, tha page changed. Last update was made in February 2006. I started to create these pages during January 2003. I did not use any source, everything was made by me. I learned how to use PHP during developing, so it was very useful. This site was originally written using old laptop mit 386 processor and only in text editor. During running this site, many changes were made. So, it is faster, more optimized and more user friendly. Tato stránka má visit rate zaručenou studenty školy. Později jsem se začal učit HTML a před prázdninami 2001 jsem opravdu napsal velice jednoduchou stránku, contentující asi 5 HTML dokumentů. Po prázdninách jsem nalezl docela pěknou stránku o hackingu. Líbila se mi, tak jsem si ji komplet uložil a komplet přepsal, tím vznikla moje další stránka, která byla už na slušné úrovni. Tím jsem si také zafixoval velkou čás jazyka HTML.